Take home a new family member on July 23rd during the ‘Clear the Shelters’ event. 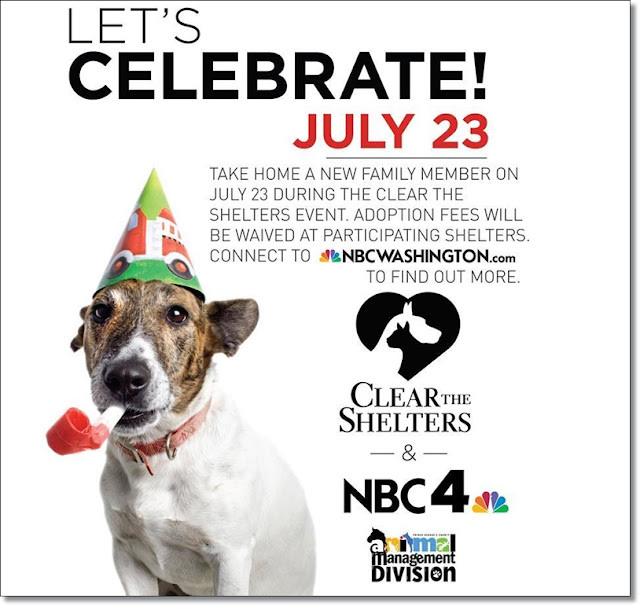 Adoption fees will be waived at participating shelters. For more information visit NBCWashington.